We decided our next theme should be helpers, focused a lot on community helpers. We're going to explore different helping occupations and also learn about fire safety. 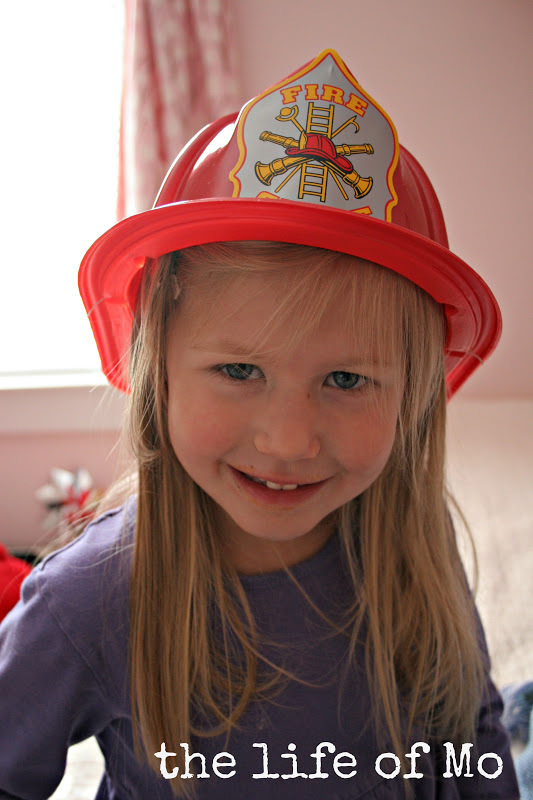 The fire truck came to Cadie's preschool week before last so we've got a jump start on that. Cadence has been interested lately in how we can help others, so we're going to be helpers too! I hope we can take some cookies to the fire station and some food to one of the local food pantries. And she is a great helper! That is the prettiest fireman I have ever seen. And what a wonderful way to learn to "give". "Help One Another" - great verse.